Usually there is a plan embedded in wood. The exquisite figures — swirls, ribbons, waves — on the face of each board are poised to inspire the design. At least that’s how Michael Corlis of Corlis Woodworks sees it. Michael Corlis Co-owner of: Corlis Woodworks, a.k.a. Corlis Design & Construction Inc. and Signature Woodworks Location: Frametown, W. Va. Employees: 10 Shop size: 3500 sq. 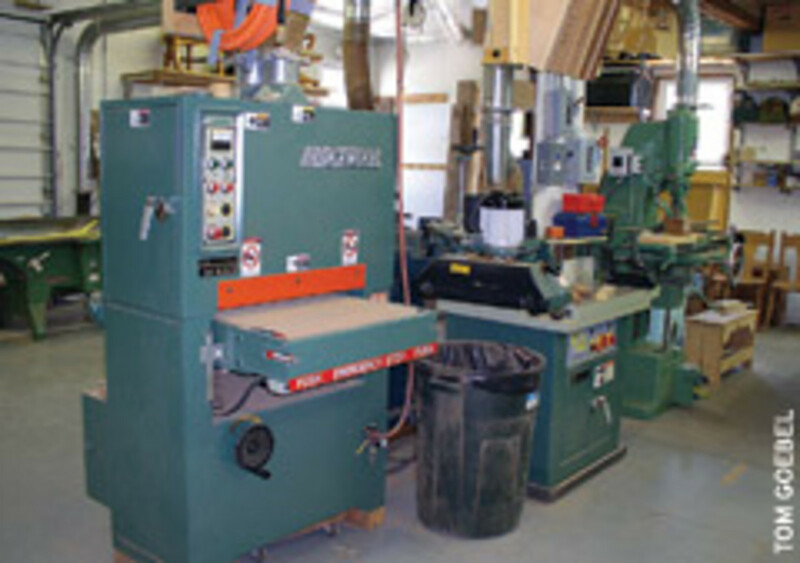 ft. Year incorporated: 1983 Average gross: $700,000 to $1 million; 2006: $2 million Major equipment: Lie Nelson hand tools, SawStop table saw, Laguna 20” band saw, Hitachi miter saw, SAC CS4 panel saw, Northfield 24” jointer, Oliver 24” spiral head planer, Voorwood A117 shaper/sander, Bridgewood edge and belt sanders, Oneida dust collection system, Marathon spray booth. And they do have wood, a luxurious array of rare materials tucked away in a quiet valley in West Virginia. The facility, which Corlis Woodworks maintains along with a client who shares its reverence, holds a handsome assortment amassed during years of searching for the highest quality. 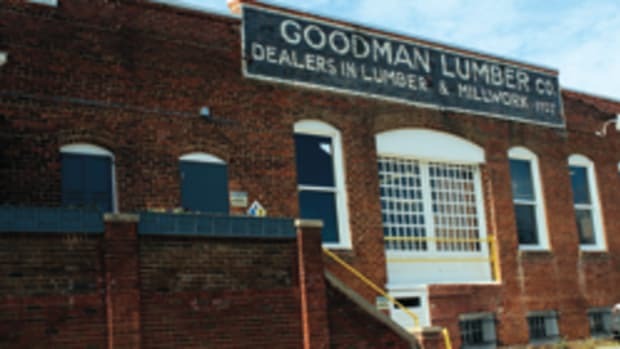 Thirty-five hundred square feet of kiln-dried, exotic and domestic hardwoods are labeled and stacked neatly in berths all the way to the rafters. 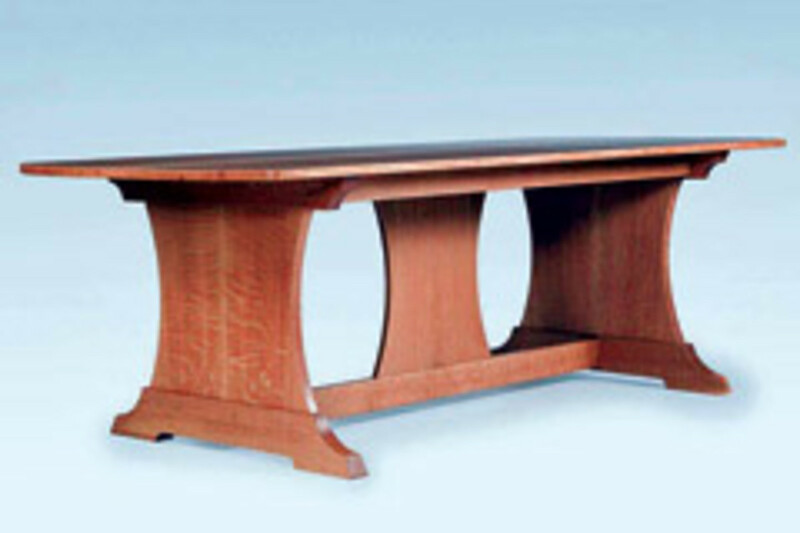 The most prominent species used for fine furniture and woodwork are present — true mahogany, quartersawn white oak, sapele, cherry, walnut — awaiting the day when they inspire a new piece by Corlis Woodworks. Whenever he can, Corlis catches a falling tree and adds to his own store of hefty finds. In a corner, weighing tons, is a prized contender, an entire rock-hard sugar maple that he scavenged from in front of the Braxton County courthouse. “I could see it would soon be taken down by disease and old age, so I put my name on it for salvage.” Now it’s sawn precisely into slabs and rests in anticipation, positioned to live on as timeless furniture and woodwork. 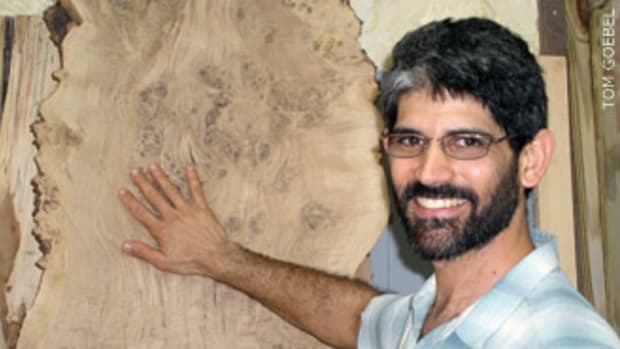 To understand how Corlis Woodworks functions, one needs to reveal the personalities. “We’re three different individuals but together in spirit and professional goals. We have our disagreements but there’s mutual respect and trust. Sparks may fly, but we always come together because of our shared principles and passion,” says Corlis from the top spot on the corporate tree. 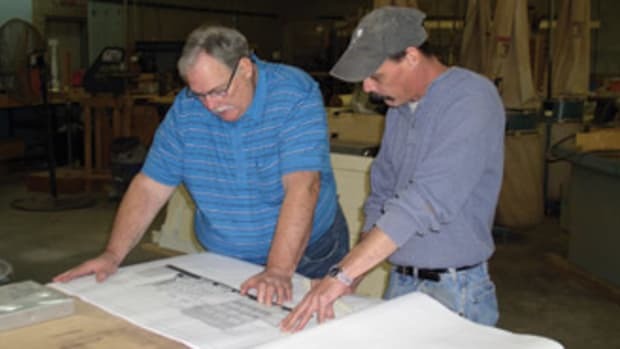 Starting a design/construction business was a move he’d been entertaining for quite awhile and, though times were good and opportunity was there, seed money was scarce. 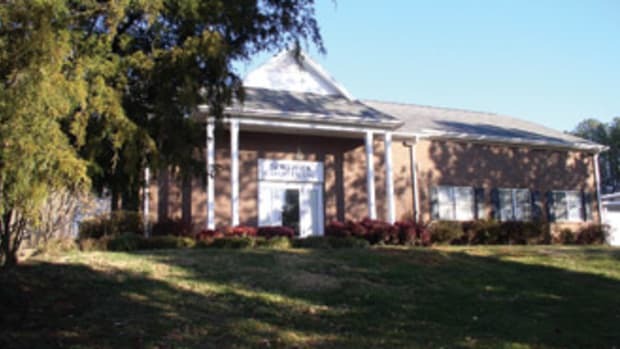 Corlis resolved the financial problem by securing a job at the local high school teaching building construction. Then, in 1983, he founded his company and for 28 years divided his time between the classroom and his business, where he held himself responsible for designing and securing projects. 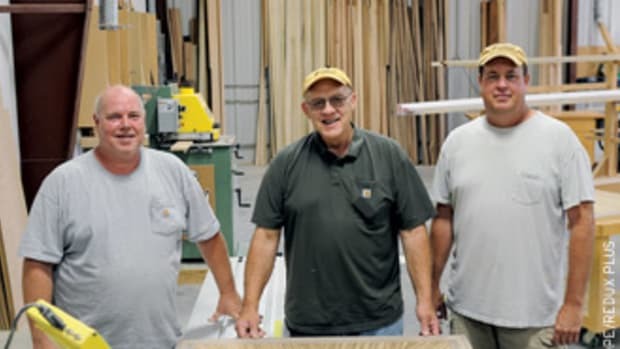 Construction and fine woodwork were the main focus until 2003 when a full-time custom furniture and cabinet shop was established in a renovated general store. 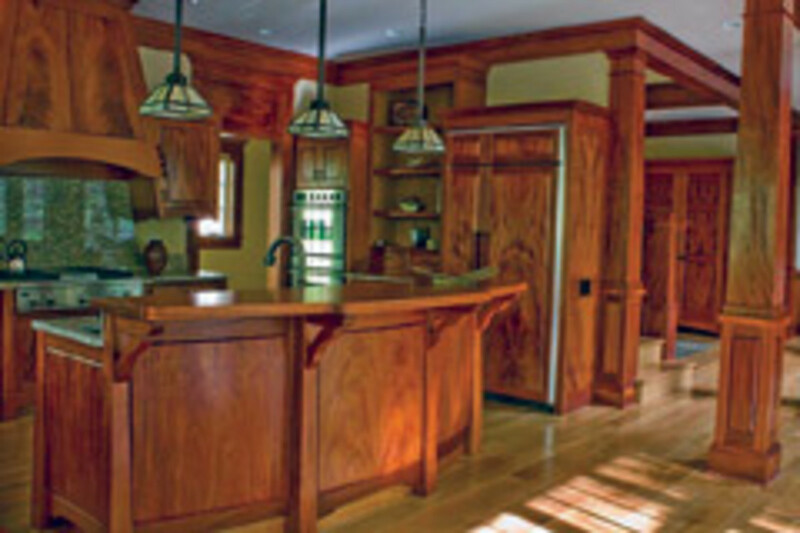 At that time, Signature Woodworks was added to Corlis Design & Construction. 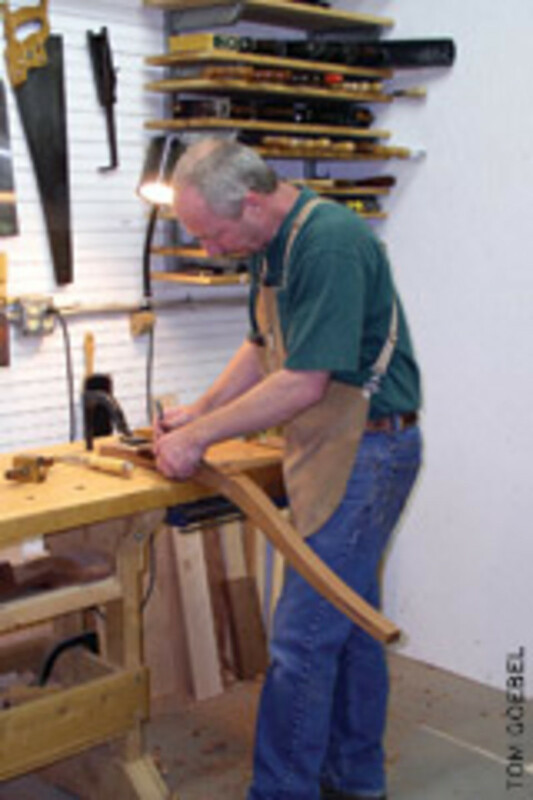 Corlis Woodworks is the abbreviated, all-encompassing moniker. Michael Moore, vice president and co-owner, is the technology expert who also helps direct the six-man field crew. Corlis drafted him soon after Moore graduated from his building construction class and gives him high marks. “Michael was one of my best students, got almost perfect scores on all the tests. I couldn’t have found a better partner and right-hand man.” Moore spends most of his time in a satellite office turning out all the shop drawings on a variety of CAD-related platforms: ArchiCAD, Google SketchUp and Cabinet Vision. Scott Todd runs the shop and is one of the main reasons the full-time shop could be opened in 2003. He’s a self-taught woodworker (and says he’s still learning) and projects the image of a true artisan right down to the tan leather apron. He joined Corlis in the early 1990s after stints in satellite TV sales, logging and carpentry. “Once Scott and I have selected the right material, we simply honor the wood and let it make the statement, believing that each piece has a purpose,” says Corlis. 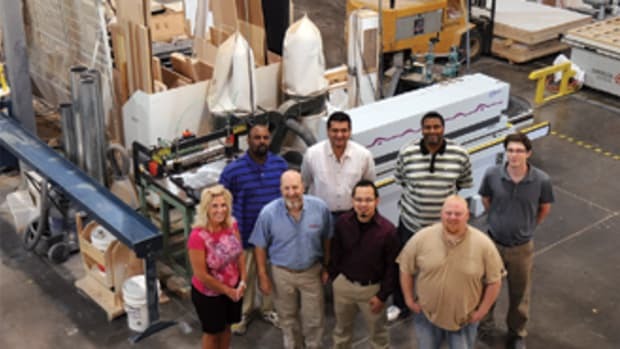 The “statement” is never lost in translation and that, along with their unwavering attention to detail, is what makes a Corlis Woodworks job easy to spot. A current project is an example of commitment to their design and craftsmanship philosophy — a dining room suite consisting of eight chairs, table and sideboard. The ensemble will be built one detail at a time in about six months and will be presented by their client as a Thanksgiving wedding gift. 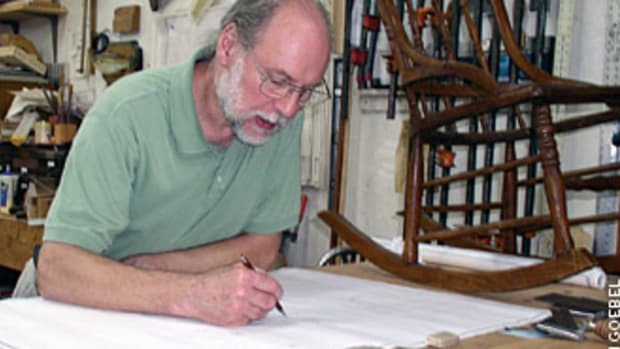 The chairs, now in assembly mode, were designed by Corlis, converted into plans by Moore and crafted by Todd. They can be described as sturdy elegance, contoured perfectly to provide ideal seating comfort, and are structurally and aesthetically identical. 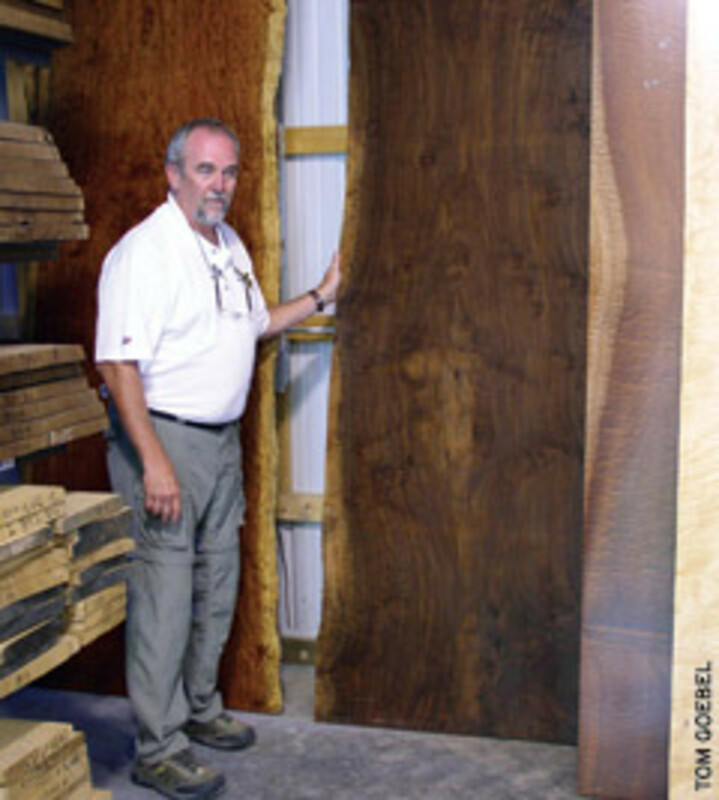 In the beginning there were 4” slabs of extremely dense quartersawn mahogany from one log. As the men progress to the table and sideboard, they’ll resaw the slabs and book-match the large surfaces. Each piece will appear as melded works of art even before they’re finished and buffed. The owners were satisfied with the outcome, as they have commissioned Corlis Woodworks to design and build a screen porch addition. The porch will be constructed using the same open, flat chord trusses with LED lighting in the bottom chords to light up the ceiling. 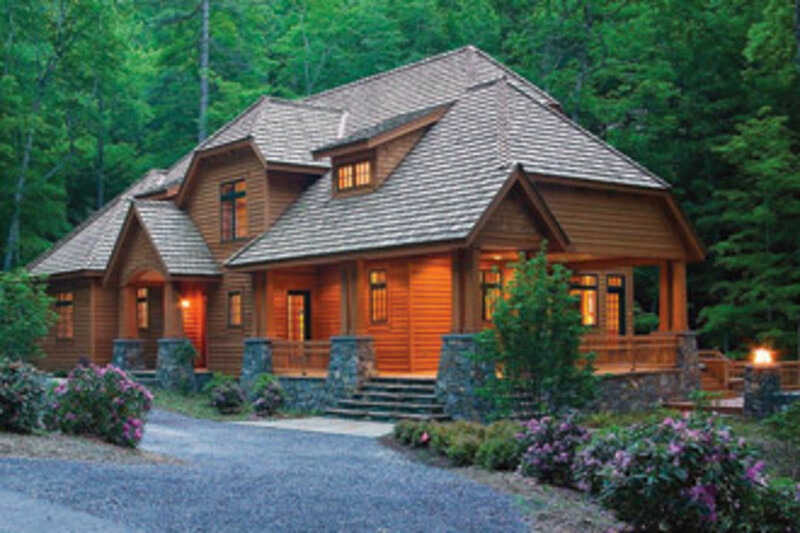 The home’s striking exterior of cedar and granite is graced with a cedar shake roof. The interior is an amalgam of beautiful wood and fine architectural details. The company’s talents are enshrined in the coordinated look created by sequential boards and perfectly book-matched surfaces. Corlis Woodworks’ technique of resawing highly figured panels and framing them with straight grain was also employed throughout the home and is especially evident on the 22 doors. In the Artisan kitchen, the hand-cut raised dovetails on the crotch mahogany range hood and drawers are a Corlis signature highlight. In addition to the unique structural points, unusual wood-like beeswing figure mahogany were used to enhance the dramatic overall effect. Handmade wood and brass refrigerator handles and a cast art glass screen for the master shower typify the home’s exceptional elements. As he strives to combine art and architecture, Corlis is committed to supporting local talent. He has called on a number of West Virginia’s accomplished craftsmen and artists, including blacksmith Jeff Fetty (www.jefffetty.com), artist Bill Hopen (www.billhopen.com) and others whose work may not be as familiar but add a notable character to every project. Corlis must now confront two pressing challenges, the first of which is searching for new employees for the shop. “We’re always looking for qualified people with a strong work ethic and a willingness to learn and stick to our principles.” You needn’t wear an apron, but you do have to don uncompromised commitment to old-school craftsmanship and sound woodworking techniques without cutting corners. The shop keeps a four-day, 10-hour workweek; if you tend to watch a clock, this probably isn’t the place for you. 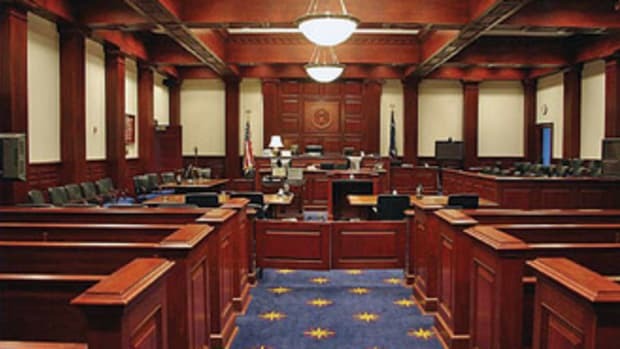 His second most important order of business is “finding a larger market for our niche. 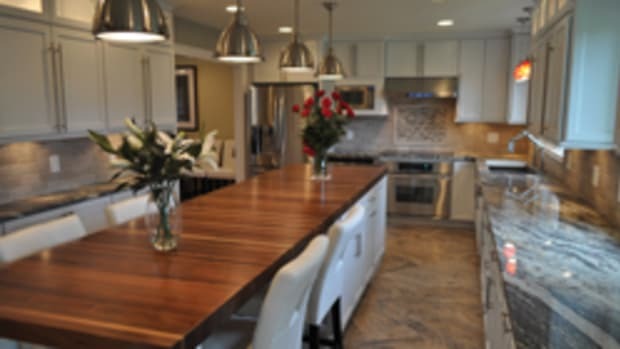 Since I retired from teaching in the spring of 2011, I can spend more time finding new clients for our company.” Corlis Woodworks enjoys no real competition in the area and could probably be in line for more business, but the quest for perfection sometimes makes it harder to win bids. Corlis’s strict operating principles, which he will not compromise, take time — time most can’t spare or aren’t willing to grant him. However, it is because of his high standards that the company has a loyal following, a circle of repeat clients and respected colleagues. But Corlis realizes that reliable customers wear thin over time and it becomes necessary to continually find new sources of business. Advertising is currently done online and at two yearly expositions: the Charleston Home Builders Show and West Virginia Expo. The company’s résumé includes close to 50 awards from state and local homebuilders that help boost its credibility. Most projects are scattered within a 100-mile radius of the shop, which includes the capitol of Charleston. From now on, the push will probably be toward Washington, D.C., New York and other metropolitan areas. “We aim to provide the highest quality old-school craftsmanship we are allowed to do and still stay in business. We’re part of the last of a breed and we’ll keep fighting for what we believe in,” adds Corlis. Now if only his wood could lend a vibrant voice to the cause.